Our post today comes from one of our One Fine Baby vendors Bedhead hats. Come and meet them at our next fair in Melbourne and Sydney this year! The best time to teach a child to wear a hat is before they start developing fine motor skills. Familiarising baby with the sensation of wearing a hat is the key to raising a child that searches for their hat to wear before going outdoors. Once they can control those little hands; anything new is almost certainly getting ripped off! And really – who wants to argue with a toddler? Unfortunately, hats that are made to fit newborns are hard to come by, even though this time of life is the most crucial in sun-safe habit-development. Bedhead Hats is one of the few brands in the world that offer a range of hats to fit infants right from birth. Spending time outside is a significant part of Australian culture, no matter what season – and who wouldn’t want to enjoy the beauty that this country has to offer. This lifestyle, however, sadly often comes at a huge cost, with two in three being likely to be diagnosed with skin cancer by the time they reach the age of seventy. The great Australian lifestyle has come with the consequence of having one of the highest rates of skin cancer in the world. Not everyone understands that sun exposure in the first 10 years of life plays a large part in determining your lifetime potential risk for skin cancer. As parent’s it’s so important to encourage children to wear a hat – the consequences of not could be life threatening. That’s why it’s so important to instill sun safety habits in children from a young age and why Bedhead Hats are committed to provide the most comfortable, high quality protective hats on the market, protecting children from the harsh effects of the strong Australian sun and giving parents the tools to get babies comfortable wearing hats from birth. Bedhead Hats are made with stretchy lycra to allow for a perfect fit every time, especially when your kids are growing more and more every time you blink. Sadly for some mums and babies, their needs in protection are far greater than sun-safety. In response to this need, Bedhead Hats created the ‘Protect the Potential’ initiative. Throughout Spring/Summer 2017, Bedhead Hats committed to give $100,000 of sun hats to babies needing them the most. When Bedhead Hats customers bought hats for their family, their purchase helped to protect another little one in need – starting their sun-safety journey. Bedhead Hats trusted their customer’s big hearts to GIFT a newborn hat on their behalf to a friend doing it tough, a family member down on their luck or a stranger that may have needed a hang up. A whopping total of $49,684.15 worth of newborn hats were gifted by our customers to friends and family in need. Alternatively, customers could choose to DONATE a newborn hat to a new Mum and bub in need. A total of $50,315.85 worth of newborn hats have been donated to 6 charities aiding disadvantaged mothers and babies – St Kilda Mums, Dandelion, Baby Give Back, Pregnancy Assistance, Treasure Boxes and Tassie Mums, protecting a little life and helping them start their sun-safe journey. “It was great to give back to the community and involve our customers in the process”, says CEO of Bedhead Hats, Richelle Ellis. 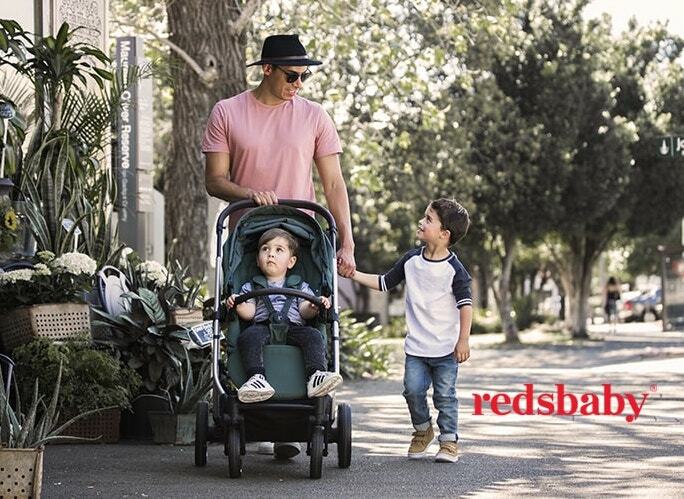 Bedhead Hats is a family run business based on the NSW Central Coast – 100% Aussie owned. We take great pride in creating a range of hats that make sun safety more comfortable for babies & children. Bedhead Hats make super comfy baby and kids sun hats in SunSmart styling and rated UPF50+ Excellent Protection. Our comfortable fit and soft stretch cotton enable a superior fuss free fit ready for loads of fun in the sun!